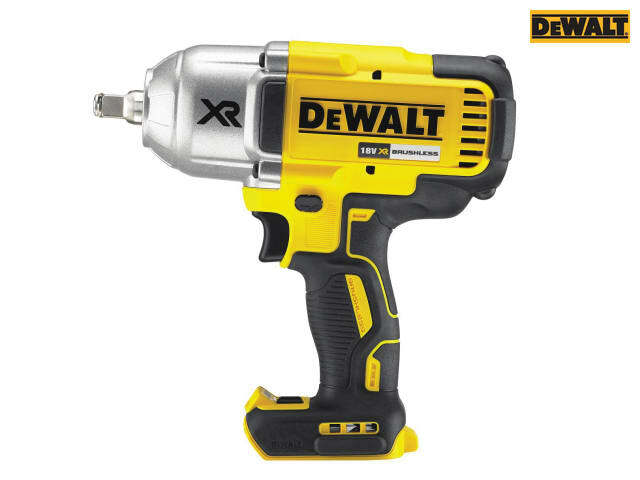 The DEWALT DCF899HN XR Brushless Hog Ring High Torque Impact Wrench with 3 speed and torque settings that gives you the control to best suit your application. The 1/2in (13mm) square drive with hog ring allows for more efficient torque delivery and excellent socket retention. It is fitted with a comfortable rubber XR grip and switch for greater application comfort and maximum control. 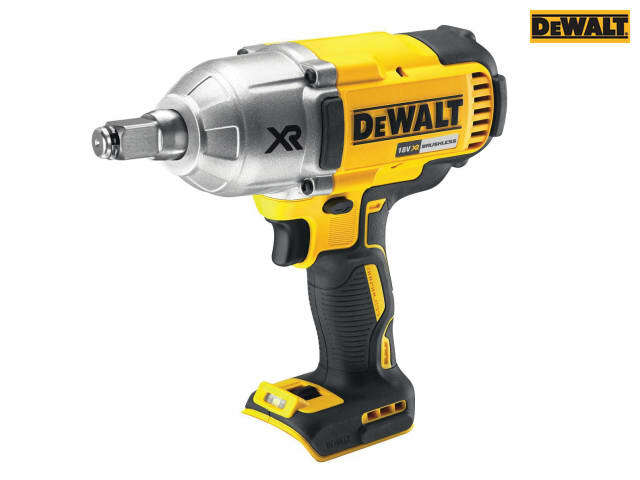 It has a powerful fan cooled motor that delivers up to 950Nm of torque and 2400 impacts per minute for heavy-duty fastening applications. 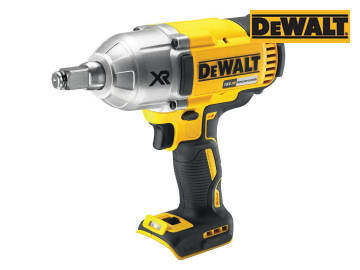 It also provides up to 1625Nm of breakaway torque, that ensures removal of the tightest bolts. The bright white LED with a delay feature provides improved visibility and flashlight functionality. Bit Holder: 1/2in Hog Ring. Max. Torque: 950Nm. Breakaway Torque: 1,625Nm.